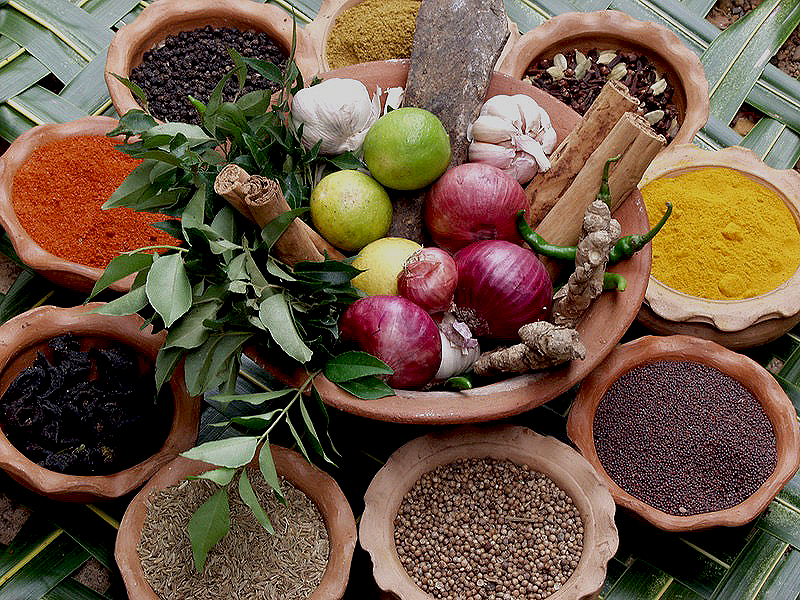 Ayurveda is a natural medicine system that has existed for thousands of years. It is based on the elements ether, air, fire, water and earth. They exist in all of us and in all livings things. The system and principles of Ayurveda use these very elements to bring balance, healing and health to the body and mind. The approach is gradual and gentle, combining nutrition, lifestyle, sense therapies and herbs for overall holistic lasting results. Ayurveda is the perfect complement to Western Medicine. The top ten diseases in the modern world are life-style and diet related both of which are fundamentally part of the healing approach and process of Ayurveda. Ayurveda deals with the root causes based on the elements involved with the illness or imbalance to bring lasting results that can be managed and maintained. All consultations include an assessment, evaluation of physical, mental and emotional characteristics to formulate constitution percentages and dominant elements and doshas of each person. Consultations can be for individualized care, couples, groups or organizations. Appropriate guidance based on constitution results will be provided for each individual. Food choices, life-style and herbal formulas that pacify and bring balance to manage life will be provided. Changes take time and many of the habits we have developed will need a gradual approach for change. All food and life-style choices reflect our current health good or poor. Learning the what qualities of food are best for each body brings ultimate health. Here is where you find out your results from the Initial consultation and how to proceed. This is an in-depth report about your dosha, where your imbalances lie and more. Follow up visits are important to help you gradually make the changes that bring balance. Here we work together using tools and practices of Ayurveda for health and well-being. Ayurveda is gradual and gentle. Changes in diet, nutrition and life-style habits take time to restructure. Sense therapies will be incorporated for further healing and support. Follow-ups can span from months to years to implements changes. Soothing warm herbal oil is poured onto the forehead and third eye. This treatment balances, stabilizes and calms the activity of the mind. Ideal for encouraging mental clarity, emotional balance, a sense of calm. Eases depression, restlessness, chronic insomnia, mental fog, overactive mind, hormonal imbalances, nervous system disorders, exhaustion, depletion, headaches, stress and anxiety. Medicinal herbs are used to clear channels, relax muscles and sooth the senses. Treats stiffness, coughs, pain (specifically ears, neck, head edema) and promotes deep relaxation. Bliss therapies include Abhyanga and Shirodhara. Ground to the earth and float to the heavens with a combination of Abhyanga and Shirodhara. Together they soothe, calm, pacify Vata and Pitta symptoms or any conditions of depletion, fatigue and exhaustion. This combined treatment will leave you feeling connected and at ease. Symptoms addressed include: anxiety, irritation, insomnia, over-active mind, mental fogginess,headaches, tension, dry skin, intensity, scatteredness, indecision, spaciness, fatigue, anger, over-stimulation and more. These treatments balance, stabilize and calm the activity of the mind and the physical body. Ideal for mental clarity, emotional balance, insomnia, hormonal imbalances, nervous system disorders, exhaustion, depletion, stress and anxiety. Medicinal herbs are used to clear channels, relax muscles and sooth the senses. Treats stiffness, coughs, pain (specifically ears, neck, head edema) and promotes deep relaxation. Eliminates toxins and congestion. Together they promote deep relaxation, rejuvenation and purification. These therapies tap into the depths of the body's innate wisdom of balance and health. Brief history: Thousands of years ago in India, it was found that oils heal sickness, illness and imbalances. They not only healed they prevented future imbalances. Oil applied to the entire body, head, ears, feet and other specific marma points was done daily to heal and keep the body in balance. A guided meditation of deep conscious relaxation. The mind is alert but the body is asleep. During this guided journey into the depth of the self blockages, resistances and long-term tension is removed. The body and mind merge to support healing. Yoga Nidra accesses the subconscious where true change can be made. As the body and mind relax an intention called a Sankalpa can be inserted to direct the subconscious. Specific points are of the body are connected through the process that triggers deep relaxation and change. It is similar to the wiring needed and connected in a way that allows us to turn on a light. This internal wiring can be used to help us relax and fulfill our goals. spasms, tension, resistance and other muscular limitations. Proprioceptive Neuromuscular Facilitation : a method of stretching muscles to maximize their flexibility that is often performed by a trained individual and that involves a series of contractions and relaxations with enforced stretching during the relaxation phase —abbreviation PNF.